Find the perfect venue for your next crafternoon, jam session or workshop. 2book helps Hong Kong’s most artistic individuals track down a space that suits their needs. Whether you’re a performing artist, a painter, a master chef, a dancer or an aspiring musician, you will find something on our site to suit your needs. Whatever you’re planning and whatever budget you have, you’re sure to find something to suit on our site. We bring together venues of every size owned by large event companies and private property-owners, ensuring that you are certain to discover the perfect space for your next project. Take a look at our listings today and discover something beautiful. From modest loft apartments to full-floor co-working spaces and galleries, 2book gives you access to every kind of space in Hong Kong. We know how much the venue contributes to the overall atmosphere of your event, so whether you’re throwing a party or staging a photoshoot, we’ll help you find the perfect place. Make your dreams a reality and find the ideal venue for your next workshop or class today. Many of our venues come equipped with additional features such as AV equipment, shooting equipment, high-tech lighting systems, public address systems, kitchen appliances, video conferencing facilities and more. Filter using our menu on the right and discover the perfect studio for you. 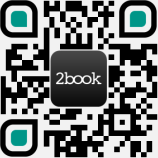 2book is a new approach to venue hire, directly connecting event hosts with property-owners across Hong Kong. Whatever kind of event you’re creating, do it with us. Browse our listings today or get in touch with any questions via email at general@2book.co, through our contact form or directly over the phone on (852) 3970 4731.